Generous stature, lustrous ring pulls, and tapered legs lend an air of refinement. 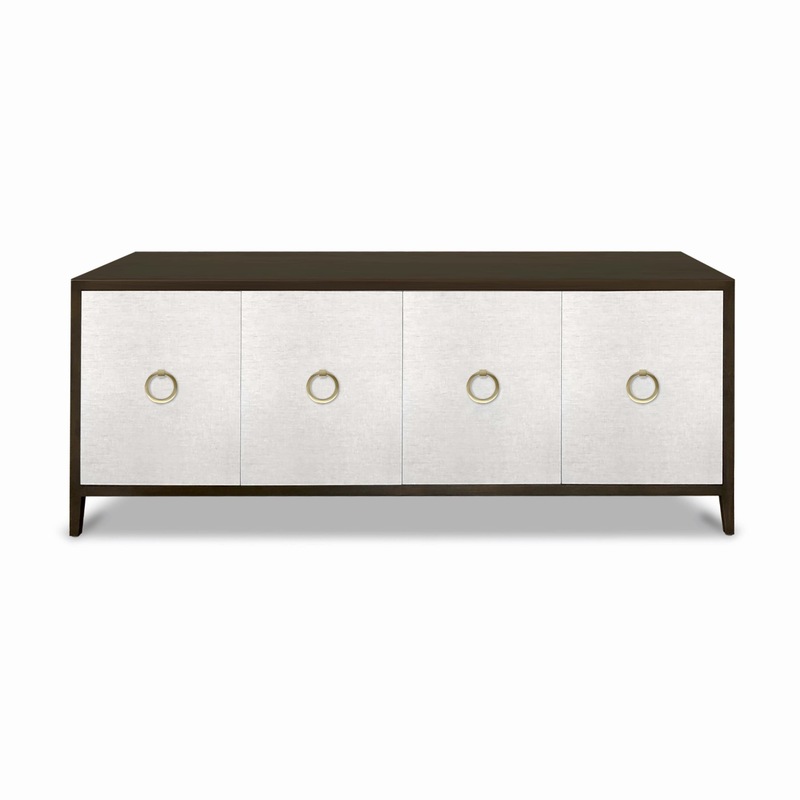 Crafted to showcase beautiful construction, this Edmonds Cabinet features four fabric-front doors and adjustable shelving inside. 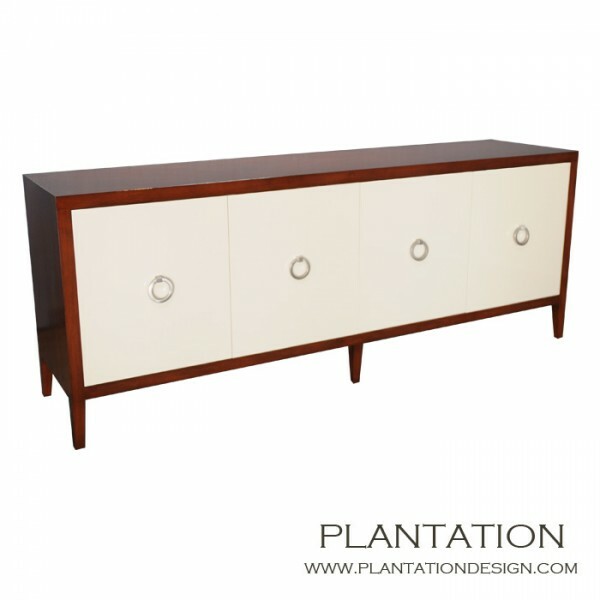 You can also design with interior drawers to create a buffet piece. As with all pieces from our Custom Furniture Collection, the Edmonds Cabinet is made-to-order in Los Angeles and can be infinitely customized. 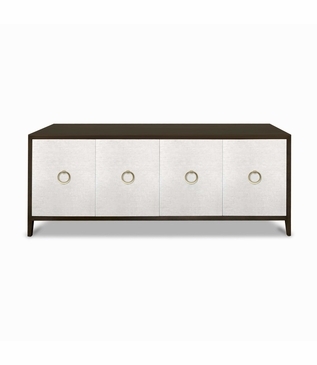 Choose your dimensions, wood, finish, hardware, and fabric. Also available in customer’s own material (COM). For pricing, please call, e-mail, or submit an online quote request. Dimensions: W: 84" • D: 20" • H: 34"